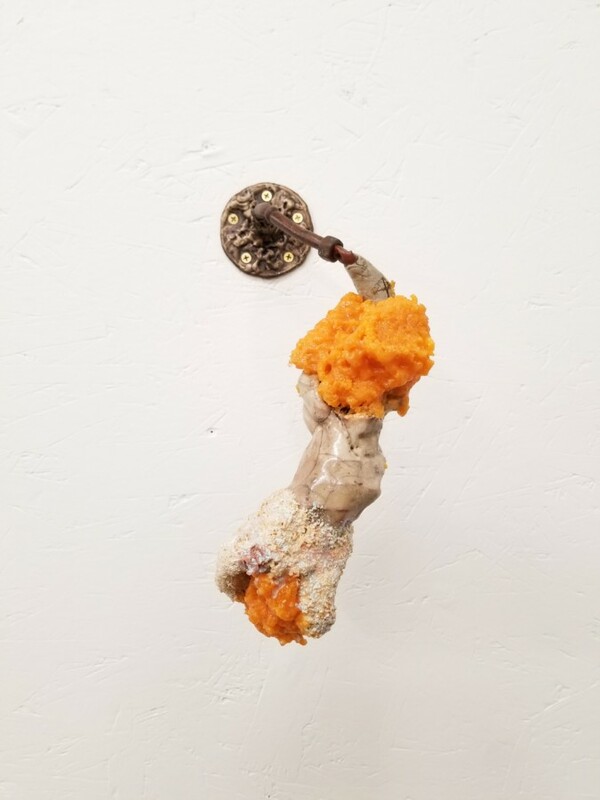 Baby Blue is excited to announce Cook My Goose, a group exhibition featuring: Edward Cabral, Daniel Giordano, Cecilia Iwata, Dutes Miller, Stan Shellabarger, and Ryan Sullivan. The show is composed of food inspired art, with works that range in style from the comically abject cannolis of Daniel Giordano, to Edward Cabral’s finely crafted porcelain replicas of fast food. The works are predominantly sculptural, however some incorporate documentation and viewer interaction. These include the “butter books” of Dutes Miller and Stan Shellabarger, year long collections of butter wrappers bound in book-form, as well as the deteriorating cakes of Cecilia Iwata. All the artists treat food with aesthetic, conceptual, and personal significance. Questioning our taste in high or low culture, disgust or delight, and intimacy or alienation through the theme of food.